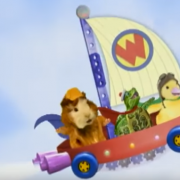 The Wonder Pets, a wooden block, and a brilliant 9-year-old teach Lindsey Paris-Lopez a lesson in seeing the best in others. While learning the parable of the farmer who recklessly scattered seeds, Lindsey Paris-Lopez's daughter showed concern for the seeds that don't grow. But when the meaning of the lesson took root in her heart, she ended up teaching her mother its beautiful simplicity. The blessing of receiving Jesus as a gift -- given in pure love, unexpected, unasked-for -- is what makes Christmas a time of deep joy. Suzanne Ross and her daughter Emily help parents and caregivers to kindle the special magic of Christmas for toddlers and young children with practical advice for how "less is more" when it comes to presents. What makes for a good teacher? As the school year begins, Adam Ericksen uses personal stories about his son to explore that question. 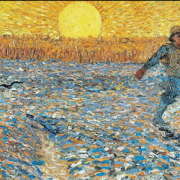 "If you are longing for an encounter with God," Suzanne Ross advises, "... look to children. You will discover that the story of Creation is... a radically new kind of story that consists of an ongoing beginning without end." Adam Ericksen reviews "The Vessel," a movie starring Martin Sheen scheduled to be released this fall. "The Vessel" is about a tragedy. Adam concludes, "Maybe God is like a mother who wears a pink dress – pointing us to a more colorful world." "I believe that the most heroic thing the Spotlight team did was to follow their investigation beyond the truth they wanted to find. The discovery that Cardinal Law’s guilt was only the tip of the iceberg reveals that only taking down Cardinal Law would have been to make a scapegoat of the Cardinal to protect themselves from their share of the blame." - Suzanne Ross on the Academy Award winning movie, "Spotlight."